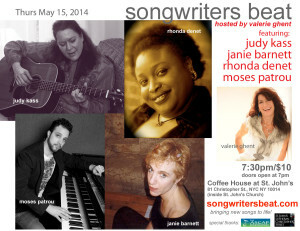 This month’s Songwriter’s Beat features outstanding songwriters Judy Kass, Janie Barnett, Rhonda Denet and Moses Patrou. 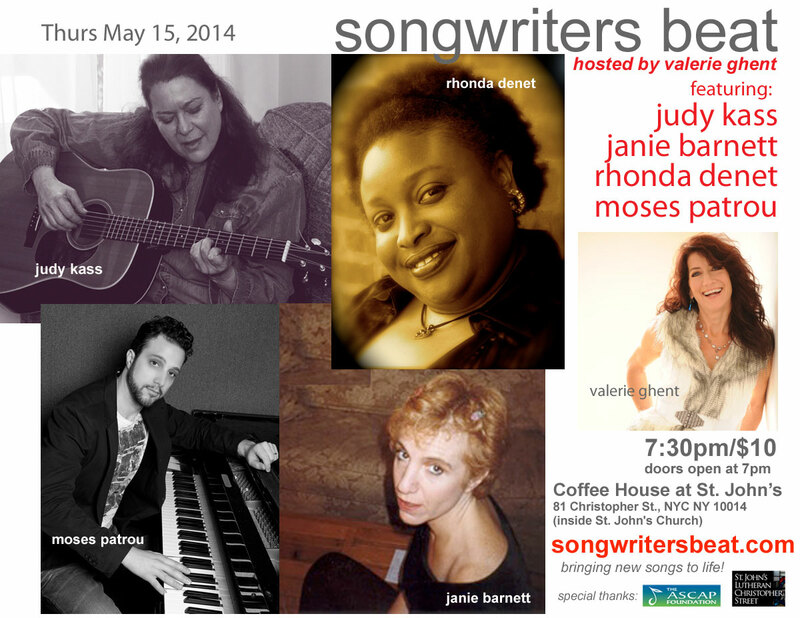 Hosted by NYC singer-songwriter Valerie Ghent. Our special thanks to the ASCAP Foundation!